Sendai is the largest major city in Japan’s northeastern region of Tohoku, and a great place to start to explore the area. It’s a city that seamlessly blends the convenience of a modern metropolis with the beauty of nature, enduring culture and wonderful traditions. 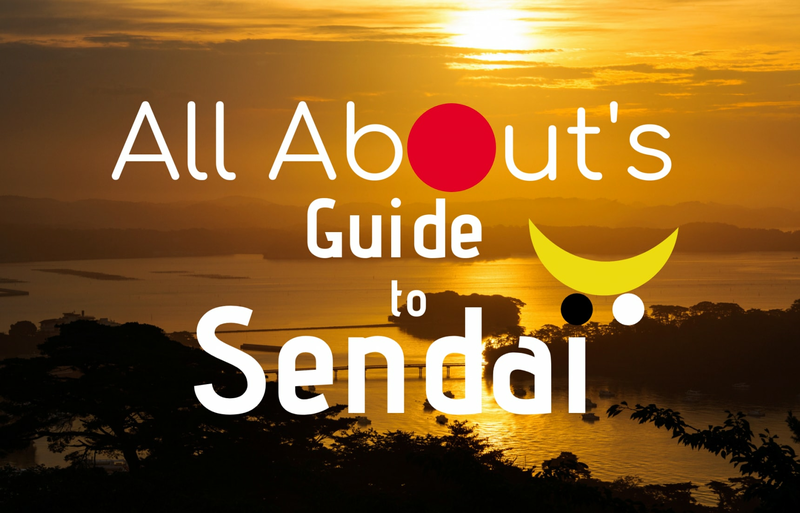 A blast to explore, we're here to help you make the most of your time in Sendai! 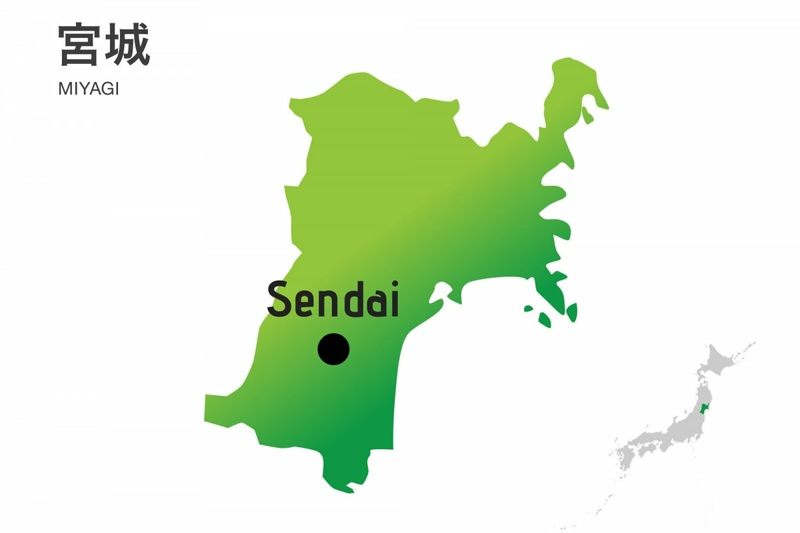 Sendai (仙台) is the capital city of Miyagi Prefecture, as well as the largest city in Tohoku. It was established in the year 1600 by the powerful feudal lord Date Masamune. Known as "The One-Eyed Dragon" due to the loss of his right eye, Masamune was as well known for his prowess and cunning on the field of battle as his patronage of arts and culture. Although it was only a small fishing village in a relatively unsettled part of the country, he made it his mission to create a prosperous foothold from which to rule, starting with the construction of Sendai Castle. On top of his visionary urban planning—the grid system Sendai uses today is said to be based on the city's original designs—Date Masamune was also a proponent of international trade and cultural exchange. In the year 1613 he sent a group of retainers on a diplomatic mission to Europe aboard a western-style ship called the San Juan Bautista. The journey took seven years, during which the delegation crossed the Pacific Ocean to Mexico, and then crossed the Atlantic to Madrid. They eventually made it to Rome and were granted an audience with Pope Paul V, before traveling back to Sendai. Although an impressive feat in and of itself, the mission was especially noteworthy because it flew in the face of the persecution of Christianity carried out by both the Toyotomi and Tokugawa governments. The forward thinking of Date Masamune helped inform Sendai's trajectory to the modern day. Sendai Castle was surrounded by trees, which helped create a natural barrier, and because of the greenery throughout the area, Sendai came to be known as "The City of Trees." Tohoku Imperial University (now Tohoku University) was the region's first institution of higher learning, and has a notable place in Japanese history as the first university in the country to admit female students. Like many areas in Japan, Sendai was devastated by bombings by the United States during World War II, and many of its historic buildings were lost. Following U.S. occupation, Sendai was rebuilt and became a vital hub for the Tohoku region, due in no small part to the construction of the Tohoku Expressway (constructed in 1972) and the Tohoku Shinkansen (which opened in 1982). Coastal areas of Sendai—and northern Miyagi Prefecture as a whole—were severely damaged by the Great East Japan Earthquake in 2011. In the years since the disaster, Sendai has played an important symbolic and economic role in the recovery of Miyagi Prefecture, and the Tohoku region. While great strides have been made, the reconstruction efforts in Tohoku continue to this day. Today, Sendai is a modern metropolis that has developed its own unique, local culture. Although small compared to Tokyo, it has a population of over one million people spread across its five wards. Like much of Japan, Sendai has warm, wet summers. Temperatures peak around 30 degrees Celsius (86°F) in August, and summer is generally the rainiest season due to typhoons. Autumn is cool, and the highly anticipated fall leaves come earlier—sometimes as early as late October—than the Tokyo area. Winter is sunny and cold, though average temperatures in December and January are usually above freezing, and large snowfalls are somewhat rare. Spring sees the bloom of beautiful cherry blossoms, which come to the Tohoku area a couple weeks later than the rest of the country. As a city that blends history, nature and local culture, Sendai has plenty of sights to see and places to visit. Here are some of our favorites! Also called Aoba Castle (aoba-jo・青葉城), the hillside ruins of Sendai Castle are located in the lovely Aobayama Park, which is the home of the iconic statue of Date Masamune (seen above). Between its forced decommissioning after the Boshin War (1868-1869) and the bombing in World War II, history has been unkind to the former stronghold of the Date clan. Although there's very little of the original structure left, there's still plenty of reasons to visit. In addition to the surrounding greenery, there's the castle museum, which provides visitors a glimpse of the structure's former glory (in the form of detailed models), old artifacts from the castle and more. Gotoku Shrine—Miyagi Prefecture's branch of Yasukuni Shrine, in Tokyo—was also constructed at the former site of the castle. The nearby Sendai City Museum is within walking distance of the castle museum, and features many displays about the history of the Date clan. The Sendai Yagiyama Zoological Park is a bit further from the castle ruins, but is home to many exotic animals and sure to be fun for the whole family. Hours of Operation: The castle museum is open from 9 a.m. to 5 p.m (or 4 p.m. from November to April). Last entry is 30 minutes before closing. It is open year-round, but is closed on New Year's Eve and New Year's Day. Price: The castle grounds are free to roam around. The museum costs ¥700 for adults, ¥500 for HS/JHS students and ¥300 for ES students. Access: The easiest way to get to Aoba Castle is via the Loople Sendai sightseeing bus. It can be boarded from the #16 stop outside the West Exit of Sendai Station. It's the sixth stop along the route. Located on the 31st floor of a skyscraper just a short walk from Sendai Station, the AER Lookout Terrace provides visitors with an absolutely incredible view of the city, day or night. If you're trying to kill a little time before nightfall, the first four floors are a great place to shop 'til you drop—with stores peddling fast fashion and high-end apparel, flowers, book, natural goods and more, there's a little bit of something for everyone. The 31st floor also has a restaurant that doubles as a wedding venue, so don't be surprised if you see some celebrating newlyweds! Hours of Operation: The AER Lookout Terrace is open from 10 a.m. to 8 p.m. It's open throughout the year, and only closes for New Year's Day. Price: It's completely free to visit the Lookout Terrace! Access: The AER building is a short walk north of the West Exit of Sendai Station. Simply take the elevator to the 31st floor. Atop a hill not far from the ruins of Sendai Castle, Zuihoden (瑞鳳殿) is a mausoleum that serves as the final resting place for Date Masamune, his son and grandson, and other notable members of the Date clan. When it was built in 1637, it was constructed in the ornate style characteristic of the Azuchi-Momoyama Period (1573-1600). Although it was designated a National Treasure in 1931, it too was burned down in the bombings of World War II. It was meticulously reconstructed, down to its brilliant goldwork and intricate patterns. The expansive grounds are covered in towering cedar trees, which are especially beautiful in autumn and provide a serene atmosphere one might not expect in the region's biggest city. In addition to the mausoleums and family graves, there's also a museum that showcases the history and personal items of members of the Date family. Hours of Operation: Zuihoden is open from 9 a.m. to 4:30 p.m. from February through November, and until 4 p.m. from December through January. It is closed on December 31st. Price: ¥550 for adults, ¥400 for HS students and ¥200 for JHS/ES students. Access: Zuihoden is stop #4 on the Loople Sendai sightseeing bus. Alternately, you can take the Tozai Line from Sendai Station to Omachi Nishi-koen Station. From there, Zuihoden is about a 15-minute walk. It's common knowledge that summertime in Japan is synonymous with local festivals, and Sendai is no exception! The biggest event in summer is their take on Tanabata (七夕), the Star Festival that originally came to Japan from mainland China. Tanabata is a nationwide celebration of the one day of the year—traditionally the seventh day of the seventh month of the old lunar calendar—when deities Hikoboshi (represented by the star Altair) and Orihime (represented by the star Vega) can cross the Milky Way to be together. But Tanabata in Sendai is a little different. For starters, it takes place from August 6 to 8, and the expansive shopping arcades are decorated with gorgeous streamers made from Japanese paper on handcrafted bamboo poles. The streamers are custom-made by local shop owners, who work for months to see who can create the most beautiful streamers—gold, silver and bronze prizes are awarded the first day and proudly displayed for the rest of the celebration. Although each design is unique, there are seven types of traditional decorations that are used, and each decoration has a special meaning. ・Tanzaku: Paper cards that represent learning and calligraphy. ・Kamigoromo: Paper kimono that represent healing. ・Orizuru: Paper cranes associated with safety and longevity. ・Toami: Paper fishing nets to promote bountiful catch and harvest. ・Kinchaku: Paper coin purses that represent business prosperity. ・Kuzukago: Paper garbage cans which represent cleanliness. ・Fukinagashi: Paper windsocks that are associated with the Tanabata legend. In addition to these seven decorations, the poles are usually topped by a large ball called a kusudama. There are also numerous events held throughout the city, including a fireworks display that kicks off the festivities, bon odori dances accompanied by traditional instruments, incredible nighttime illuminations and performances at both Sendai Castle and Zuihoden, as well as stalls offering visitors delicious local specialties and refreshing beverages, traditional crafts and more! Over two million visitors attend every year, so it's easy to see why Sendai's Tanabata is considered one of Tohoku's "Three Great Festivals." It's worth noting that this time of year isn't just one of the busiest travel periods for Tohoku, but Japan as a whole (due in part to both summer vacation and the Obon holiday). Expect increased prices and decreased availability for accommodations, increased congestion on both bullet trains and local lines, and keep in mind that it pays to plan ahead! Event Details: The fireworks display is August 5, from 7 p.m. to 8:30 p.m. in Nishi Park. The festival itself takes place from August 6 to 8. There's a map of all the festival events throughout the city here. Matsushima (松島) is a collection of 260 pine-covered islands on the coast of Miyagi Prefecture. The splendor of the area was well-documented in the writings of the prolific haiku master Matsuo Basho (1644-1694), and is famous throughout the country as one of the "Three Views of Japan." We recommend visitors set aside most of a day to explore Matsushima on foot. There are four recommended viewing spots from which to enjoy the scenery, and three of Matsushima's islands are accessible by bridge—a small island that is home to the Godaido temple, Fukuura Island, which is easily recognized by its 252-meter-long (nearly 827 feet) red bridge, and also Oshima, which features hand-carved caves used for meditation by monks in days gone by. Walking also gives you the chance to pop in and out of the many small shops along the main street, which sell souvenirs, local specialty snacks, sake and crafts, as well as super fresh seafood (more on that in a moment!) that you definitely won't want to miss. Beyond its obvious natural beauty, Matsushima has a rich cultural legacy deeply tied to the history of the Date clan. It's home to many ancient temples, the most notable of which is the Zen temple, Zuiganji (瑞巌寺). Zuiganji was originally constructed in 828, but was restored (along with other structures in Matsushima) by Date Masamune, who declared it his family temple. The walk up to the entrance is lined with cedar trees, some of which were planted after many were damaged by the tsunami in 2011. There are also ancient caves along the approach that were used for meditation, and now contain statues and gravemarkers. The Main Hall (hondo ・本堂) is a designated National Treasure, and underwent serious repairs in 2016 to restore it to original condition. Inside visitors can view four gorgeous rooms—the Peacock Room, the Room of Buddha (which contains an image of the Goddess of Mercy, Kannon) , the High Room (in which the Meiji Emperor spent the night in 1876) and the Ink Painting Room. The rooms all feature sliding doors covered in paintings of seasonal scenery on brilliant gold, except for the Ink Painting Room, which displays original paintings that are 400 years old! There's also an incredible Zen garden, the temple kitchen, a museum that features the original armor (!!!) of Date Masamune and more. It's also worth mentioning that there are free volunteer English guides from the Matsushima Goodwill Guide Association available on Sundays (except for the second Sunday of the month) between 10 a.m. and 3 p.m. The bottom line is if you visit Sendai, do not miss Matsushima. And if you visit Matsushima, do not miss Zuiganji! Don't forget to visit the nearby temple Entsuin (円通院), which is the mausoleum for Date Masamune's grandson, Mitsumune. The highlight are the grounds, which feature a lovely moss-covered Zen garden meant to represent the scenery of Matsushima Bay. It is especially beautiful in autumn, when hours are extended for a stunning nighttime illumination that lasts from the end of October through November. ・Zuiganji: Open from 8 a.m. to 5 p.m. April through September. Closing times can be as early as 3:30 p.m. depending on the time of year. ・Entsuin: Open from 8:30 a.m. to 5 p.m. April through November. Open 9 a.m. to 4 p.m. December through March. Open until 9 p.m. during autumn illumination. ・Godaido: Open from 8:30 a.m. to 5 p.m. Closing time may change throughout the year. ・Fukuura: Open from 8 a.m. to 5 p.m. March through October. Open until 4 p.m. November through February. The bridge is also illuminated at night. ・Zuiganji: ¥700 for adults, ¥400 for children 15-years-old or under. ・Entsuin: ¥300 for adults, ¥150 for HS students, ¥100 for JHS/ES students. It is ¥500 for admission to the nighttime illumination. ・Fukuura: ¥200 for adults, ¥100 for children. Access: Matsushima takes between 25-40 minutes to get to by train from Sendai. Take the JR Senseki Line from Sendai Station to Matsushima-Kaigan Station. A one-way trip costs ¥410. To get a close-up look of the picturesque islands around Matsushima Bay—as well as information in English and Japanese about the area—we strongly recommend visiting Matsushima by sightseeing ferry. To reach the ferry, take the JR Senseki Line from Sendai Station to Hon-Shiogama Station. It takes about a 30 minutes and costs ¥320. The pier from which the cruises disembark is a short walk from Hon-Shiogama Station. A one-way ticket from Hon-Shiogama to Matsushima costs between ¥1,500-¥2,900 for adults and JHS/HS students (¥750-¥1,450 for ES students), depending on seating class. It's possible to do the cruise from Matsushima to Hon-Shiogama, but it's usually much more crowded and lacks the overall impact of landing in Matsushima for a day of fun. If you're willing to go a little further afield from Sendai's city center, there's even more to explore! Mount Zao (蔵王) is an iconic symbol of the Tohoku region, a towering peak that towers over the region at 1,841 meters (about 6,040 feet). It rests on the border of Miyagi Prefecture and Yamagata Prefecture, which means that depending on what part you're visiting, you might not technically be in Miyagi. Even so, the ease of access and wealth of activities to enjoy make this an easy recommendation as a destination for a potential side trip from Sendai. Although there's no wrong time of year to go, winter is perhaps the best time to visit, especially if you're a ski or snowboard enthusiast. Zao Onsen is a small village with some 1,900 years of history. Nestled in the mountains, the village is a collection of over a dozen hot spring hotels and ryokan (traditional Japanese inns) with lovely acidic hot springs that are said to have healthy and beautifying effect on those who soak in them. Even if you're not staying at one of the many facilities available, there are many public baths that allow visitors to enter for a modest fee, and there are three different foot baths around the village that are free to use. The nearby mountain contains some sixteen slopes for all level of skiers and snowboarders, but the true draw is the chance to shred next to some seriously unique scenery—the Zao Snow Monsters. Called juhyo in Japanese (樹氷), which literally means "frost-covered trees," the Snow Monsters are fir trees that get blanketed in snow and ice that piles up over the winter season. If you aren't much of a sportsman, you can still get a glimpse of this unique feature with a ride on the Zao Ropeway. There is also a nighttime snowmobile cruise around the Snow Monsters, which are brilliantly illuminated—the peaceful (if somewhat eerie) scene is unlike any you'll see in the rest of the country! If you visit in spring, summer or fall, Zao is perfect for hiking. Rather than the snowscapes of winter, you can expect to see lush greenery in spring and summer, and vividly colored leaves in autumn. Beyond its onsen and ski resort, Zao is also remarkable for the Okama (御釜) Crater. An incredible caldera lake famous for changing color with the seasons, it derives its name because it's said to resemble a cooking pot, or okama. The lake is some 27 meters deep (about 89 feet), and the high acidity that gives the water its unique color (along with the amount of sun to which the water is exposed) also prevents any animals from living in or drinking it. Although visitors cannot approach the caldera lake itself (it's blocked off by a fence), the view from the the lookout is incredible. The nearby Zao Kattamine Shrine (kattamine jinja・刈田嶺神社) offers a glimpse of the Okama and the surrounding landscape from the high elevation of Zao's secondary peak, Kattadake. Besides the scenery, there's also the Zao Summit Rest House if you want to take a little break, as well as the Zao Summit Restaurant for those interested in some snacks or souvenirs. Hours of Operation: While individual hotels, ryokan, restaurants and the like will have varying hours of operation, both the Zao Onsen Ski Resort and Okama have set hours of operation. Zao Onsen Ski Resort: Open from 8:30 a.m. to 5 p.m. on weekdays, and from 8 a.m. to 5 p.m. on weekends and holidays. Some slopes also offer night skiing, which is from 5 p.m. to 9 p.m. Please note that peak season for the resort is typically from December to the end of March. Zao Okama: Facilities are generally open from 8 a.m. to 5 p.m. Please note that Zao Okama is usually inaccessible from early November through April due to heavy snowfall. Price: Similarly, price for individual hotels, roykan, restaurants and such will also vary. But we can take a look at the general costs associated with visiting the Zao Onsen Ski Resort. Zao Onsen Ski Resort: Other than lodging, the largest cost associated with visiting the Zao Onsen Ski Resort is a Ski Pass. The price of a Ski Pass is determined by age, duration and whether or not it is peak season. Let's take a look at the range of prices for different types of Ski Passes for adults. It's also worth noting that there are several ski and snowboarding schools in the area that offer lessons and can provide rental equipment. The largest rental shop can be found at the Zao Base Center Jupeer. Access: Getting to the Zao Onsen Ski Resort and Okama Crater from Sendai takes a little bit of time, but is relatively simple. Zao Onsen Ski Resort: First, take the JR Senzan Line from Sendai Station to Yamagata Station. A one-way trip takes a little over an hour, and costs ¥1,140. From Yamagata Station, there is a bus that travels directly to Zao Onsen. A one-way trip takes about 40-minutes, and costs ¥1,000. Okama Crater: The easiest way to reach Okama Crater from Sendai is via car. Take the scenic Zao Echo Line toll road (¥540 for normal cars), and use the ample parking at the base of Mount Kattadake. The drive takes about 90 minutes. To get there by public transportation, take the Tohoku Shinkansen from Sendai Station to Shiroishi-Zao Station. That leg of the journey takes about 15 minutes, and costs ¥2,920. From Shiroishi-Zao Station, the Zao Highline Bus to Zao-Katta Sancho departs twice a day in the morning. It takes about 90-100 minutes, and costs ¥1,920 one-way. If using this route, keep in mind that there are only two buses back to Shiroishi-Zao Station each day. Alternately, if you're staying at Zao Onsen, you can take the Zao Ropeway to the upper station, and enjoy an hour-long hike to Okama Crater. It costs ¥1,500 for a one-way ticket, and ¥2,600 for a round-trip. Another destination that isn't technically in Miyagi, Yamadera (山寺・literally "mountain temple") is a beautiful temple complex on the slopes of Mount Hoshu in Yamagata Prefecture. Originally founded in 860 under its official name, Risshakuji (立石寺), Yamadera is the second destination on the list to be immortalized by the famous poet, Matsuo Basho. Visitors who make the tranquil, 1,000-step hike through the surrounding cedar forest to the top of the Yamadera are rewarded with an incredible view of the surrounding Tachiya River Valley. The scenery makes the area especially popular for shutterbugs, since each season gives the landscape different characteristics. The road leading to the entrance to the complex are lined with local souvenir shops, eateries and small, traditional Japanese inns, which means that there are plenty of places to stop and rest once you make your way down. There's also the Yamadera Treasure House and the Yamadera Basho Memorial Museum, for those who want to really dive deep into the area's history. Hours of Operation: Yamadera is open from 8 a.m. to 5 p.m., and is open throughout the year. The Yamadera Treasure House is also open from 8 a.m. to 5 p.m., though it is closed from December to April. Finally, the Yamadera Basho Memorial Museum is open from 9 a.m. to 4:30 p.m., and is closed during the New Year's Holiday from December 29 to January 3. Price: The entrance fee to hike up Yamadera is ¥300. The entry fee for the Yamadera Treasure House is ¥200. The Yamadera Basho Memorial Museum is ¥400. Access: Yamadera is very easy to access from Sendai by train. Take the JR Senzan Line from Sendai Station to Yamadera Station. A one-way trip takes about an hour, and costs ¥840. Entrance to the temple complex is about a 10-minute walk from the station. Perhaps a place that needs no introduction, Zao Fox Village (kitsune-mura・キツネ村) is less a zoo or animal park than it is a haven where foxes roam freely. Here, visitors have a chance to get up close and personal with over 100 adorable foxes that call the area home. Beyond squealing in delight and snapping photos to your heart's content, you can also feed the foxes (as long as you purchase appropriate food) from a feeding platform, and in spring you can even hold baby foxes! If you somehow managed to fox yourself out (or the wiley beasts outfox you out of the food you bought for them), there's also a small menagerie of other animals, including miniature ponies, boats, bunnies and more. There's also a shrine to visit, and a comprehensive gift shop where you can stock up on exclusive souvenirs. Please be considerate of both your safety and that of our furry friends. While many of the foxes are used to humans, they are still wild creatures, so please treat the rules of Zao Fox Village seriously. Hours of Operation: Zao Fox Village is open from 9 a.m. to 5 p.m. from mid-March through November. It is open from 9 a.m. to 4 p.m. from December until early-March. During both seasons, last entry is 30 minutes before closing time. It is closed on Wednesdays, except in February, March and August. Price: Entry to Zao Fox village is ¥1,000 for adults, and kids get in for free! If you'd like to feed the foxes, it costs ¥100 for a bag of food. The fee to hold foxes is between ¥400-¥600 depending on the time of year. Management also requires groups of 10 or more to make a reservation at least a week in advance. Access: The easiest way to reach Zao Fox Village is by car, which takes about an hour on the Tohoku Expressway. It's also possible to reach by public transportation, but it requires a little bit of planning. From Sendai Station, you can take the Tohoku Shinkansen to Shiroishi-Zao Station. It takes about 15 minutes, and costs ¥2,920. Alternately, you can board the JR Tohoku Line to Shiroishi Station. It takes about 50 minutes, but only costs ¥760 one-way. From either station, the quickest and simplest way to Zao Fox Village is by taxi. It costs about ¥4,000 each way, so it can be quite expensive unless you're traveling in a group. There is also the Castle-Kun Bus, which is a much more affordable option, though it runs infrequently. There are two trips from Shiroishi Station to the nearby Kawarago Dam (川原子ダム) on Tuesdays and Fridays. Keep in mind that you must ask the driver to drop you off at Zao Fox Village, since it isn't a regular stop. They depart at 7:56 a.m. and 1:35 p.m. The trip takes about an hour, and costs ¥200 one-way. The bus from Kawarago Dam departs at 2:32 p.m. Finally, there is a shuttle bus directly to Zao Fox Village from the East Exit of Sendai Station for those staying at Shiroishi Onsen's Yakushi-no-Yu facility. The reservation must be made three days in advance, and generally must be made in Japanese. Naruko Gorge (鳴子峡) is yet another example of the seasonal allure of Miyagi Prefecture, and Tohoku as a whole. Naruko Gorge is about 2.5 kilometers (about 1.5 miles) long and around 100 meters (328 feet) deep, and is a short distance from two well-known onsen villages—Naruko Onsen and Nakayamadaira Onsen, either of which is perfect for a relaxing weekend away. The trees that line the gorge and surrounding mountains are an incredibly verdant green in summer, but change to a kaleidoscope of fall colors around late October, which makes the area one of Miyagi's most popular autumn spots. The scenery in the photo above can be spotted on the viewing platform near the Narukokyo Resthouse, and a steep trail leads to the bottom of the gorge, which is the trailhead to the Naruko Gorge Walking Trail. Although the trail technically runs the length of the gorge, lingering damage from the earthquake in 2011 means that some sections are closed to the public while they're undergoing repairs. Although the unbelievable scenery is the main draw, the nearby Japan Kokeshi Museum is also worth a visit. There, you can learn about the history and craftsmanship of kokeshi, adorable dolls that originated in Tohoku. And if anything catches your eye, they make the perfect souvenir to take back home. Hours of Operation: While the gorge itself has no set hours of operation, both the Narukokyo Resthouse and the Kokeshi Museum do. Narukokyo Resthouse: The Resthouse is open from 10 a.m. to 4 p.m., and is open seven days a week. Hours are subject to change on holidays. Kokeshi Museum: The Kokeshi Museum is open from 8:30 a.m. to 5 p.m. for most of the year. However, it's open from 9 a.m. to 4 p.m. in December, and closed from January to March. Price: Naruko Gorge has no entry fees, but the Kokeshi Museum does. It's ¥320 to enter, though groups of 20 or more are eligible for a discount rate of ¥250. The Resthouse is also free to enter, but the cost of food varies. Access: The easiest way to access Naruko Gorge is by car. From Sendai, it takes about an hour and 20 minutes via Tohoku Expressway, and has plenty of (paid) parking. To get there by train, take the Tohoku Shinkansen from Sendai Station to Furukawa Station. This leg of the journey takes about 15 minutes, and costs ¥2,920. From there, transfer to the JR Rikuuto Line to Naruko-Onsen Station. It takes about 45 minutes, and costs ¥730. Both trains are covered by the JR Pass. From Naruko-Onsen Station, you can walk about 30 minutes to Naruko Gorge. In autumn there's also a (paid) shuttle bus, but it can be very crowded due to the area's popularity. Alternately, you can continue on the JR Rikuuto Line from Naruko-Onsen Station to Nakayamadaira Onsen Station. It's an additional seven minutes and ¥190. From there, it takes about 30 minutes to walk to Naruko Gorge. This is about as off the beaten path as you can get! Kinkasan is a small, spiritual island off the coast of the small town of Onagawa, and is dedicated to good fortune. It's home to Koganeyama Shrine, a power spot said to bring wealth to those who visit for three consecutive years. The island itself is quite beautiful, though it was damaged by the earthquake and tsunami in 2011. Along with its notable shrines, there's an invigorating view of the ocean from the pier, and towering evergreen forests that are simply perfect for hiking. There are also adorable deer roaming around the island, just like in Nara! Although they're semi-wild, they're allowed onto the grounds of the shrines, and visitors can buy special crackers to feed them. There are also monkeys around the island, but since they're completely wild, it's best to appreciate how cute they are from afar. Ferries to and from the mainland are somewhat infrequent (more on that in a moment), but it's possible to stay overnight at the simple shrine lodgings, which includes dinner and breakfast the next morning. All in all, Kinkasan is a simple, beautiful place that embodies the enduring spirit of Tohoku. Those interested in donating to recovery efforts can find more information here. Hours of Operation: Although there aren't necessarily set hours of operation, it is highly recommended that those hoping to stay on Kinkasan make reservations to do so well in advance. You can find contact information for reservations and other inquiries here. Price: It's ¥10,000/person to stay the night on Kinkasan. The shrine complexes sell omamori charms and other mementos that range in price, but are generally around ¥1,000. Crackers for the deer are about ¥200. Access: Getting to Kinkasan is a bit of an adventure in and of itself. The only way to reach the island is via ferry from Ayukawa Port or Onagawa Port. Because it takes significantly longer to reach Ayukawa, let's focus on getting there from Onagawa. First, take the JR Senseki-Tohoku Line to Ishinomaki Station. A local train takes about an hour, and costs ¥840 for a one-way trip. At Ishinomaki Station, transfer to the JR Ishinomaki Line to Onagawa Station. It takes about 25 minutes, and costs ¥320. Onagawa Port is a short walk from the station. From there, a ferry to Kinkasan takes about 30 minutes, and costs ¥3,100 for a roundtrip. Be aware that there is usually only one boat to and from Kinkasan each day that the ferries run. You can see a timetable and prices here, though the site is in Japanese. With so much to see and do, you're guaranteed to work up an appetite! Fortunately, Sendai has a lot of delicious regional cuisine to enjoy. Zunda (ずんだ) is a sweetened soybean paste, and specialty of Sendai. Young soybeans are boiled and crushed, then seasoned with salt and sugar to create a subtly sweet taste. One of the best things about zunda is how versatile it is; while it's usually found on top of mochi or inside manju, it's also used to flavor all sorts of savory snacks (like rice crackers or potato chips) as well as western-style desserts like chocolate, roll cakes and ice cream. You'll be able to find it basically anywhere since it's pretty ubiquitous throughout Sendai and the rest of the prefecture—it makes a great souvenir to take back to your coworkers, friends and family. Gyoza (Chinese-style dumplings) are one of the most popular foods around Japan, so there are tons of regional varieties throughout the country. But none stand out quite as much as Sendai's aoba gyoza! Aoba (青葉) literally means "green leaf," and if the name sounds familiar, that's because it's the name of one of Sendai's busiest streets, one of Sendai's biggest festivals and is another name for Sendai's castle. As far as local cuisine goes this one is relatively new, and debuted at the aforementioned Aoba Festival in 2010. So what gives aoba gyoza its eye-popping color? A bittersweet leafy green called yukina is kneaded into the dough used to make the dumpling skin, and is usually mixed into the filling as well. Like gyoza anywhere else, restaurants usually have their own house recipes, so feel free to check out several places to find which you like best! After sampling some savory gyoza, you might want to indulge in something sweet! Said to be inspired by the image of the autumn moon dominating the night sky over Miyagi's clover-filled fields, Hagi no Tsuki (萩の月) is a soft sponge cake filled with a delicate, mild cream. While it's delicious right out of the box, it's especially satisfying when refrigerated or frozen, especially in hotter months. The chilled custard is surprisingly refreshing, which makes this the perfect treat all year-round! These can be found in most of the souvenir shops in Sendai Station, so keep your eye out! I said I'd come back to them, and we're finally there! Although Sendai itself isn't on the coast, Matsushima is—and if you're visiting Matsushima, you have to try some fresh, grilled oysters! Called kaki in Japanese (カキ), from October to March Matsushima Bay is a bounty of these magnificent mollusks! Not only is there an Oyster Festival (the first Sunday in February), but also several places where visitors can indulge in all-you-can-eat oysters to your heart's content! Whether you like them raw with a little bit of ponzu (citrus soy sauce), breaded, fried and put into a burger or piping hot right off the grill, you can't go wrong when eating seafood so fresh! For my money, the oyster shack outside of the Matsushima Fish Market (which is a varitable culinary wonderland in its own right) is your best bet—just be prepared to wait during peak travel seasons, since it's super popular with locals and tourists. Gyutan (牛タン・beef tongue) is easily the most representative dish in Sendai. Said to have originated in in Sendai in 1948, gyutan is thinly sliced and roasted over a charcoal grill, served up with hot oxtail soup, mugi gohan (barley and rice) and pickled vegetables with miso. Aji Tasuke is the restaurant where it all began, and is still satisfying customers to this day. Since its inception, many other popular chains have sprung up around town, so if the line at Aji Tasuke is too long, you're basically spoiled for choice when it comes to alternative options. You don't have to stick with the standard set meal, either; there's gyutan curry, gyutan donburi (rice bowls), gyutan onigiri and more! If you're concerned about chewiness, don't be! Although tongue and other types of offal aren't necessarily ubiquitous ingredients in the cuisine of many western countries, the tenderness and smokey flavor of Sendai's offerings are sure to make a believer out of anyone! For its size, Sendai is actually a city that's very pedestrian and cycling-friendly (they even have a city-wide bike rental service called Date Bike). It also has an incredibly convenient public transit network, which makes navigating the city and sights throughout Miyagi a breeze. Operated by the Sendai City Transportation Bureau, Sendai has two subway lines: the Namboku Line that runs from north to south, and the Tozai Line that runs from east to west. If you're looking to get around by train within the city limits, these are your best bet! Although the subway isn't covered by the JR Pass, there's a One-Day Subway Pass that allows for unlimited rides. It's ¥840 on weekdays, and discounted to ¥620 for Saturdays, Sundays and holidays. If you're using a JR Pass and plan on heading outside the city, you'll likely use the JR Lines in Sendai Station. There are five in total. JR Joban Line: Although this line was damaged by the earthquake in 2011, operations are expected to be completely reopen by 2020. It runs from Sendai to Iwaki, Tomioka and Namie. JR Senseki Line: The Senseki Line runs all the way out to Ishinomaki, near Miyagi's coast. It also stops at Hon-Shiogama Station—which is where you can board the sightseeing cruise to Matsushima—and at Matsushima-Kaigan Station. JR Senseki-Tohoku Line: As its name would imply, the JR Senseki-Tohoku Line uses the tracks for both the Senseki Line and the Tohoku Main Line. The biggest thing about this line is that it operates special rapid services between Sendai and Ishinomaki, which means it's the fastest way for you to get there. JR Senzan Line: The JR Senzan Line runs from Sendai to Yamagata. It's the line you'll use if you plan to visit Yamadera. JR Tohoku Main Line: The JR Tohoku Main Line runs all the way to Fukushima. It's the line you'll use if you plan on visiting Zao Fox Village without a car. I mentioned this earlier, and with good reason—the Loople Sendai are sightseeing buses that run a set route through the city from Sendai Station. From 9 a.m. to 4 p.m., buses depart from the station every 20 minutes (every 15 minutes on weekends and holidays), and a loop around the city takes about 70 minutes. It hits basically every hot spot around the city, as well as Tohoku University and several subway stations. A single ride is a little steep at ¥260, but there's a One-Day Loople Sendai Pass available for ¥620, or the (even better) One-Day Loople Sendai and Subway Pass for ¥900. As if the savings weren't enough to convince you, the pass comes with special offers that include discounts on entry to popular sights, food and drink, a free gift from the Tourist Information Desk and more! It can be purchased at the Sendai Station West Exit Bus Ticket Window, at subway station windows or once you board the Loople Sendai bus. There are also City Bus Tickets that allow unlimited access to city buses along inner-city or suburban routes in the Sendai area. The Inner-City Pass is ¥640, while the Suburban Area Pass is ¥980. Passes must be purchased in advanced. I would be remiss if I didn't mention the One-Day Sendai Area Pass. Only available to international visitors, the pass allows access to JR lines (between Sendai, Matsushima, Matsushima-Kaigan, Yamadera and Shiroishi), all lines of the Sendai Airport Access Lines, the Loople Sendai, Sendai city buses, the Sendai subway, Miyagi Kotsu Buses between Sendai Station and Akiu Otaki as well as the Abukuma Express Line train between Tsukinoki and Abukuma. At just ¥1,300 it's easily the most affordable way to explore the area, especially if you plan to start within the city and then head out. The pass can be purchased at the JR East Travel Service Center on the 2nd floor of Sendai Station, and like the Loople Pass, comes with all sorts of special discounts. As the biggest city in Tohoku, Sendai is well connected to the rest of the country. Sendai International Airport is a great way to get to Sendai quickly from different areas around Japan, or from other countries in Asia. The Sendai Airport Access Line offer direct service to Sendai Station, and only takes about 25 minutes. It costs ¥650. The Tohoku Shinkansen is an incredibly convenient way to get to Sendai, especially from Tokyo. The trip from Tokyo Station to Sendai Station takes about 90 minutes, and costs ¥11,200. If you're coming from a different part of Japan (like Osaka or Nagano), you'll likely have to transfer in the Tokyo area. Either way, the route is eligible for the JR Pass, which means you can save some serious dough! Speaking of saving dough, highway buses like the Willer Express are a fantastic way to travel cheaply if you don't have access to the JR Pass. Although they take considerably longer than the shinkansen—a one-way trip from Shinjuku Station takes about four hours—it is considerably cheaper at ¥3,000. This is probably the least likely route international visitors might take, but you never know. Taiheiyo Ferry offers routes to Sendai Port from both Hokkaido and Nagoya. The cost of fares varies depending on the season and the class of cabin, but the cheapest options range between ¥7,000 to ¥10,000 for a one-way trip, and takes considerably longer. From the port, there's a bus directly to Sendai Station that costs ¥540 one-way. Sendai is a great place to shop! It has two separate covered mall areas (shotengai・書店街), Clis Road and Vlandome, that contain hundreds of shops, restaurants, boutiques and more. They're really fun to explore (especially during Tanabata) and aren't at the mercy of the weather. There are also a couple of yokocho (横丁) that branch off the malls, which are small drinking alleys where you can have a nightlife experience like the locals. There's even an English bar hopping tour that you can sign up for! Learn more by visiting the Sendai Tourist Information Desk. Although not necessarily a must-visit, the Nikka Whisky Miyagikyo Distillery is a great place for fans of Japanese whisky! It takes less than an hour to reach from Sendai. Once there, you can learn about the rich history of one of Japan's most prominent whisky producers, get a tour of the facilities and sample some of their delicious offerings. Keep an eye out for their Date Whisky, a regional variety that you can only buy in Miyagi! Besides its access to the slopes of the Zao Ski Resort, Sendai is a great place to visit in December because of the Pageant of Starlight. The zelkova trees that line the main streets are illuminated with hundreds of thousands of LEDs. A walk through this dreamy, romantic winter scenery is sure to warm your heart no matter how cold out it is! I've said it once and I'll say it again: Sendai is probably the best place to start exploring the wonderful region of Tohoku. There's so much to do in the city and surrounding area that you might not actually have time to head out to the other prefectures, but if you do, you won't regret it! Each prefecture has its own unique charms, distinct regional culture, wonderful local food and sake, and an incredible sense of seasonality throughout the year! It's still not on the radar of many international visitors, which means that you usually won't have to deal with the crowds that come with more popular sightseeing destinations like Tokyo, Kyoto or Osaka. So what are you waiting for?